Each year through a college-wide collaborative effort, kindergarten children, teachers and parents visit the college to learn about college and careers. Proudly, over 200 Fullerton College faculty, students, staff, and administrators volunteer each year to make this event a success! The goal of KinderCaminata is to provide a college experience that helps children and their families realize that a college education and career preparation are a possibility for their family. This year we expect to have over 45 different college career stations and demonstrations. In the career stations, children participate in interactive learning experiences and activities. Fullerton College faculty and student clubs make learning come alive by hosting career stations such as Psychology – It’s All About the Brain, Biology – What Colors Are in My Candy? and Engineering & Technology Club – Builders of Tomorrow. Native American music and dancing takes place along with face-painting, obstacle course runs and a diving demonstration by So Cal Divers. Throughout the morning, the campus is alive with the sounds of learning! Since 1995 KinderCaminata has been proudly hosted by Fullerton College every year. 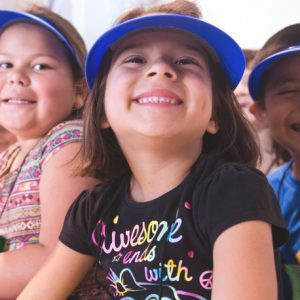 The KinderCaminata experience was founded in 1993 by Galal Kernahan and the Los Amigos of Orange County (a service organization dedicated to enhancing opportunities in the community) to celebrate the life and accomplishments of Cesar Chavez. The event is traditionally scheduled on or near Cesar Chavez Day on March 31st. 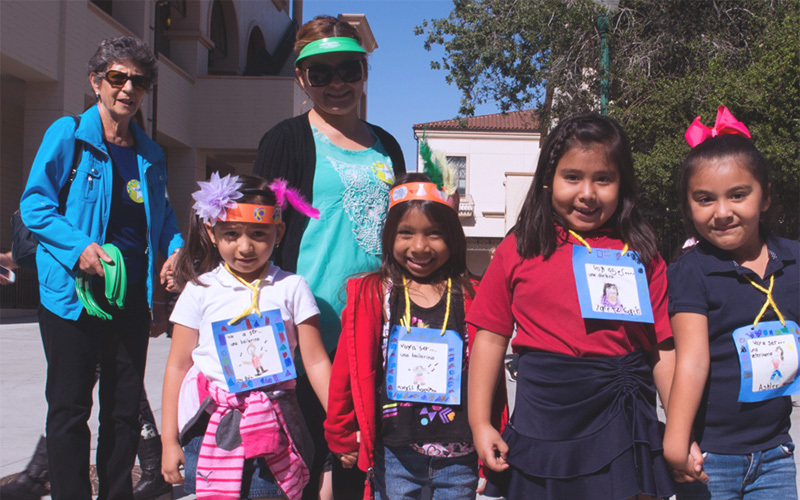 Fullerton College has hosted a KinderCaminata event for 21 years since its first event in 1995. 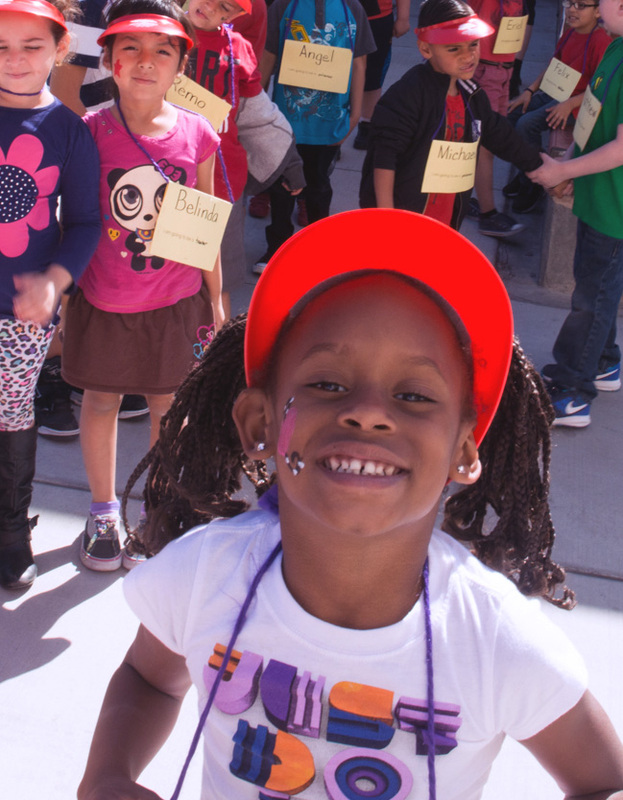 Other community colleges in the state host similar KinderCaminata events, including Santa Ana & Cypress Colleges. Dr. Christine Lamm, Professor of Child Development and Education Studies (CDES), took charge of the KinderCaminata event in 1996 and was an active advocate for the importance of introducing children to college early in their educational journey. With the help of CDES Professors Neva Root, Sharon Deleon, Thomas Chairomonte, Patti Green, Ethnic Studies professor Adela Lopez and many others, developed KinderCaminata into what it is today. After the death of Dr. Lamm in 2013, Diana Kyle, professor of Psychology, took over as event coordinator to ensure the event’s success and continuation for the future. Currently KinderCaminata continues to be a faculty-led project with the assistance of a part-time event coordinator. 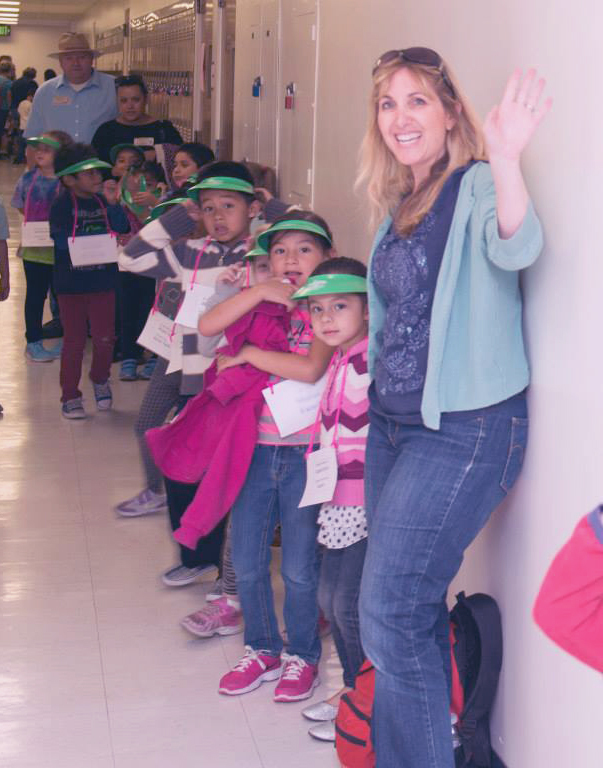 Funded primarily through the Student Equity Fund and personal donations by faculty to buy supplies, KinderCaminata quickly became an important yearly educational field trip for kindergarten classes in local school districts. 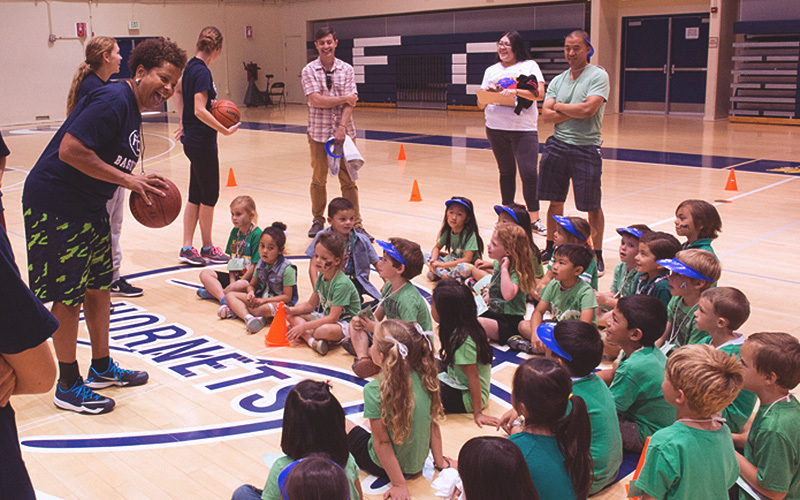 In 2013 after Dr. Christine Lamm retired and subsequently passed away, the KinderCaminata event was institutionalized by Fullerton College President, Dr. Rajen Vurdien. Interim President Greg Shulz is committed to providing institutional support to continue this important tradition at Fullerton College for many years to come. 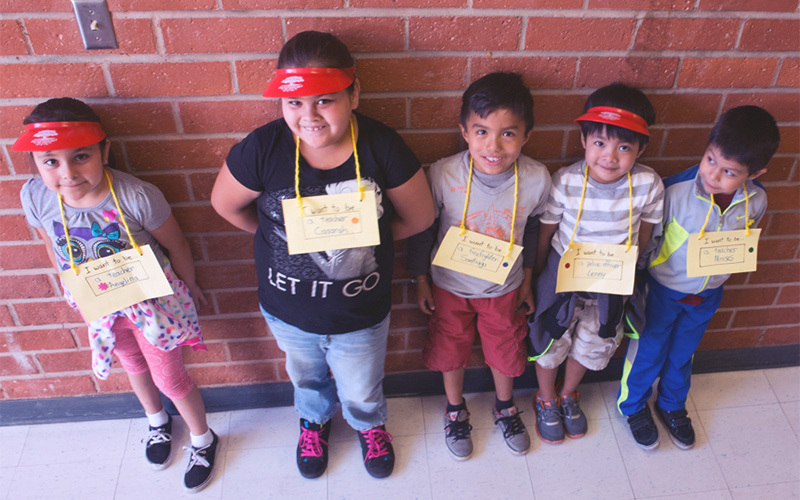 The KinderCaminata experience is in honor of César Chávez, an important person in United States history that has made a positive difference in the lives of all children and families living in California. “¡Sí, se puede!” (Yes, you can! ), is Chávez’s motto and has been the theme of KinderCaminata since the beginning in 1994. The primary goal is to plant the seeds of education at its earliest stages. This county-wide program provides an interactive experience for kindergartners, their teachers, and families. Kindergartners are inquisitive, eager learners and during their first year of formal education they learn about their community and the many jobs and occupations needed to support the community. It is never too early to instill the importance of a good education and staying in school to reach their dreams and goals. It is important to let students know early in their education that college can be a realistic part of their future – that college is for everyone and the path to future success! We need at least 200 individual student, staff and faculty volunteers to help prepare materials beforehand and assist during the event. We need at least 50 faculty, academic and student services departments and/or student clubs to host interactive Career Stations. I’m Signed Up Now What? Please download the document below in order to prepare for your Career Station. Volunteers are positive roles models and are what makes KinderCaminata come alive for thousands of young children. Bus Transportation is paid for and coordinated by each school district. Schools should contact their school district for bus drop off/pick up times. Follow your district’s transportation policies. 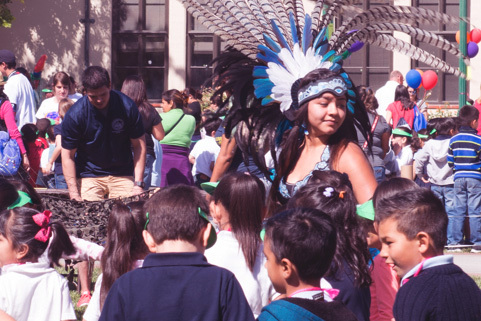 Children learn about the life and accomplishments of Cesar Chavez and explore the concept of college and careers in their classrooms before coming to the event. Teachers are provided a Teacher Pre-Event Bag before the event containing a picture book about Cesar Chavez and sample lesson plans that are aligned with the California State Standards and Common Core. After the event teachers receive a Classroom Box containing KinderCaminata – My Lucky Pencils and Fullerton College composition books for students to write about their experiences. All students receive a Certificate of Participation to take home to their parents and family. 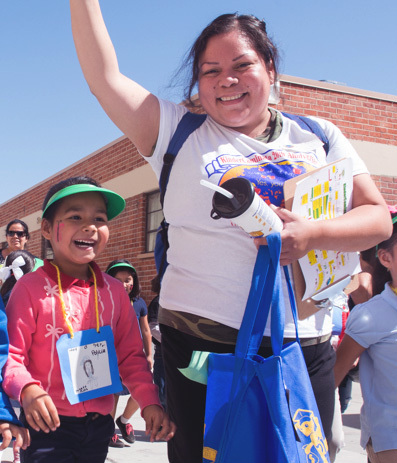 This Power Point presentation contains photos & information about the KinderCaminata Event that schools can share with their teachers, students & parents to help them get excited about the upcoming event. Schools can use these presentations to host a parent & family College Making it Happen workshop to educate parents and family members about basic college & financial aid information. The presentations also provide parents with tips on ways to promote college in the home and support their child’s academic success at school. A variety of FREE printed brochures, e-publications, and media resources are available through the Department of Education, federal Student Financial Aid, and other public and privates sources.